This is my first time painting the now 11 year old Tour of California. 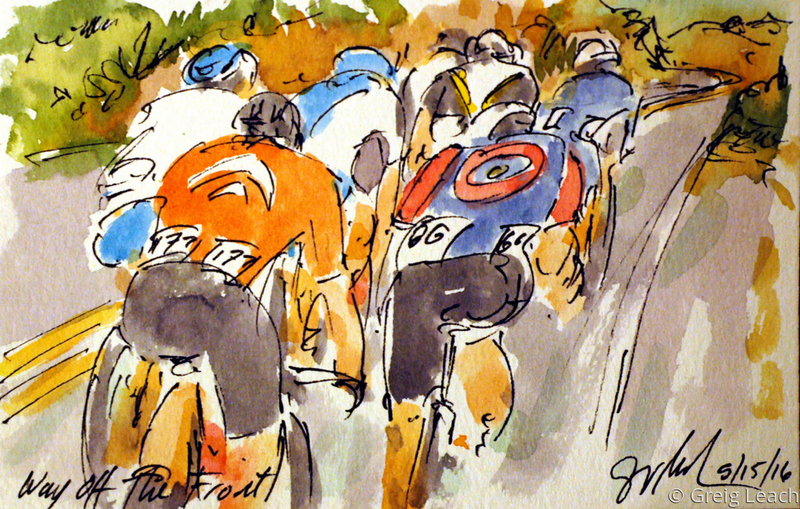 Normally I am all wrapped up in the Giro d'Italia but I thought that this year it would be a treat to paint a race that happens within the USA. Besides, I do love to watch Peter Sagan race. Most stages will feature an early break away frequently populated with members of the smaller Continental teams. Today was no exception, amongst the seven to build up a six minute lead on the peloton were, Danny Pate (Rally Cycling), Daniel Patten (Team Wiggins), Joonas Henttala (Novo Nordisk) and Daniel Eaton (UnitedHealthcare).